Any sound minded human being understands a woman’s place. Equipped with an alluring figure and an ability to cleaned up huge messes, it is clear that a woman should be presiding over the Senate in a sharp suit. 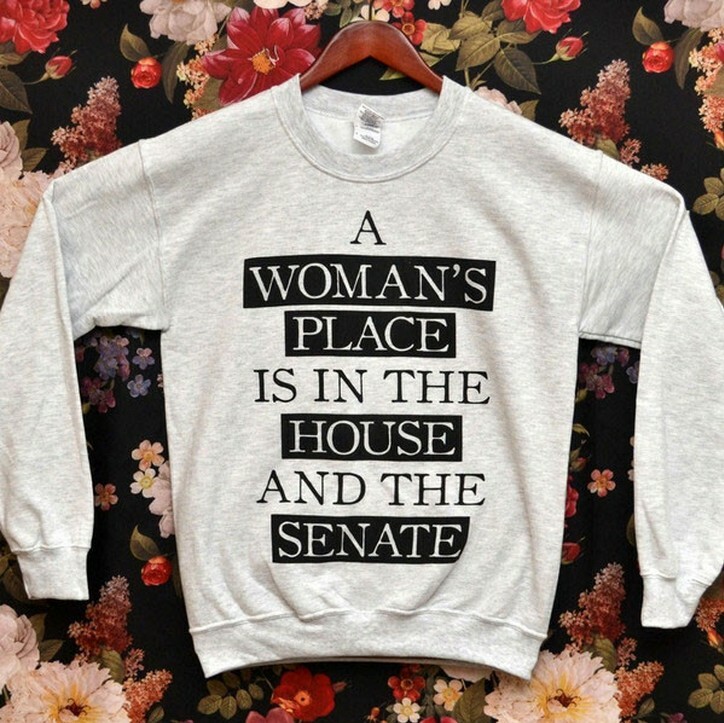 All kidding aside, women could benefit from a stronger presence in government–especially in the House and the Senate. 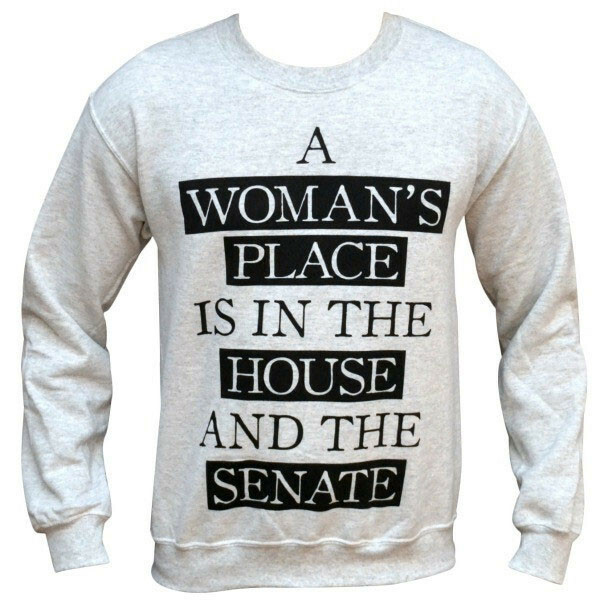 The A Woman’s Place is in the House and the Senate sweater from Wicked Clothes not only sports a humorous phrase, it also shows your support for more women in government.